← What About 4-Day Money Making Blueprint? Many people have a problem when it comes to writing emails to their email lists that constantly get a high click through rate. Well, the way to increase this rate is to follow my motto that “Internet Marketing Is Simple,” it’s not easy but it is simple. Think about your emails from the eyes of one of your subscribers. Was this is an email that was sent as a tip? Was this email was sent as a promotional email? What would you write so that your subscribers saw it and immediately responded in the manner that you wanted them to. Well, I will address both shortly. If you send out emails to your list, and it was meant to be a tip, then GIVE THEM A TIP! Don’t give them half of a tip, and then tell them that if they want the real secrets that they only have to pay $9.95 or whatever you charge. If you do this you will see a massive increase in your unsubscribe rate, and you will also see a very unresponsive list. If you signed up to get more information about whatever you niche is, then you would want actual information on that topic; so give it to them! When you do this, not only do you create a more responsive list, but you also help to brand yourself as a reliable source of information. In these emails, all that you want to do is include a link to a Facebook or Twitter fan page, or another page on your blog. These are not the emails that make you money, they just set you up for a bigger payday! My personal opinion on these is that you should not send out more than 1 a month, unless you see some great product that your list really needs to buy RIGHT NOW! However, if you want to get a higher click through rate on these promotional emails (the ones that actually make you money), then you should send out nice short emails. All you have to do is create a nice headline that draws interest, and write a short promo email. When I mean short, I mean 4-5 lines MAXIMUM!! Then make a big and obvious link, and I mean SUPER OBVIOUS!!!! It is not your job to sell them the product, these guys have spent thousands for professional copywriters to do that. All that you have to do is get enough interest in them so that they click on the link. So remember, when you want to increase click through rates, then you have to know what type of email it is. If it is an informative email, then you need to INFORM them of something. If it is a promotional email, then just build interest and have a really apparent link. 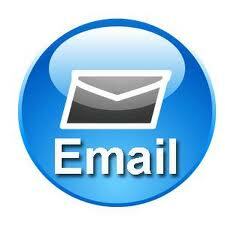 Do these things, and you will have no problem increasing your email click through rates.